In June 1982, the Nuclear Regulatory Commission issued an operating license for the Grand Gulf Nuclear Station in Mississippi. Operators withdrew control rods at the plant and achieved its initial criticality on August 18, 1982. Within two months a problem was discovered. It seemed that the plant’s Technical Specifications – the part of the operating license that defined the plant’s safety margins – did not match the plant’s physical configuration. The Technical Specifications for Grand Gulf, or Grand Goof as the plant was all too often called in those days, had been based on the Technical Specifications of an existing boiling water reactor that was operating at the time. Unfortunately, Grand Gulf was the first BWR/6 type plant built in the United States. It had equipment and features not found in older BWRs. Yet, due to monumental oversights, the initial Technical Specifications for the plant did not reflect the not-too-subtle design differences. 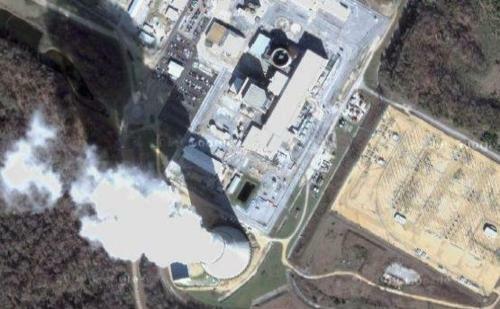 Neither the plant’s owners nor the NRC caught these many discrepancies during the many person-years of reviews before the operating license was issued. It was not a matter of a discrepancy or two. To fix this situation, the company submitted over 200 formal requests to the NRC for corrections to the Technical Specifications alone, with even more corrections to the plant’s Final Safety Analysis Report – the primary document the NRC relies on when issuing the operating license. The plant’s owner estimated it took more than 56,000 person-hours to identify and correct all of the problems. Correcting all the problems delayed the plant’s startup nearly a year. And the problems involved far more than mis-spelled words. Discrepancies included having the wrong number of automatic depressurization system valves (valves needed to reduce the pressure inside the reactor vessel to prevent a reactor meltdown in case the high pressure core cooling system fails) in the Technical Specifications, having several valves omitted from the listing of valves that must close to isolated the containment and prevent releases of radioactive materials during an accident, and having the incorrect setpoints for the systems that automatically start during an accident to ensure reactor core cooling and containment integrity. Some of the many problems involved the instrumentation used to monitor the neutron flux rate in the reactor core and to, if it rose too high, initiate an automatic scram. Workers loaded fuel and withdrew control rods to obtain initial criticality. Had a fuel bundle or two been misloaded, or the wrong control rods been withdrawn, or control rods malfunctioned and gone to the fully withdrawn position – all of which have happened elsewhere – the safety systems may not have reacted as intended to protect workers and the public. Ronald Reagan, the U.S. president at the time of the Grand Goof debacle, had “trust but verify” as his signature phrase. He must have never uttered it to the NRC, for the agency’s catch-phrase at the time was apparently “trust or verify, but not both.” The NRC trusted the Technical Specification and Final Safety Analysis Report information mailed in by Grand Gulf’s owner without even spot-checking it against the real plant’s configuration for accuracy. As a result, the NRC issued an operating license to a plant that only remotely resembled its safety studies. There’s talk about the NRC issuing operating licenses to new reactors in the near future. Many on Capitol Hill are urging the NRC to streamline its review processes with a primary focus on schedule. Grand Goof demonstrated what happens when safety shortcuts are taken. Instead of distracting the NRC from its safety mission, the Congress would better serve the American public by taking steps to ensure that the NRC verifies that information it receives from new reactor applicants is accurate and that reactors are constructed per that information. The Congress should not merely trust that NRC will get it right next time around.